PHILADELPHIA, PA (June 14, 2017) — On Wednesday, June 14, partners in the Philadelphia Music Alliance for Youth (PMAY), along with Mayor Jim Kenney and Chief Cultural Officer Kelly Lee, gathered at City Hall to celebrate the 75 young musicians who have been named the first cohort of PMAY Artists. These students—who are rising 5th through 12th graders from underrepresented communities—were selected following a series of juried auditions, and will go on to receive financial support, specialized intensive instruction, and professional mentoring in order to prepare them for a career in the classical music field. By fostering these outstanding young musical Artists, partners in the PMAY Artists’ Initiative—which is comprised of 10 organizations within the larger PMAY collaborative—aim to increase diversity in the professional classical music field. In addition to remarks from Mayor Kenney and Chief Cultural Officer Lee, the Artists heard words from Dr. Cheryl Logan, Chief Academic Support Officer from the School District of Philadelphia; Joseph Conyers, Assistant Principal Bass for the Philadelphia Orchestra, Founder and Executive Director of Project 440, and Music Director for All City Orchestra; Helen Eaton, CEO of Settlement Music School; and Gregory Padilla, a 10th grade student at the High School for Creative and Performing Arts, bass player, and PMAY Artist. In addition, three newly named PMAY Artists—David Hiester on bassoon; Malinda Voell on flute; and Marquise Bradley on clarinet—performed Trio for Flute, Clarinet, and Bassoon, Op. 32, Rondo-Allegretto by Kaspar Kummer. 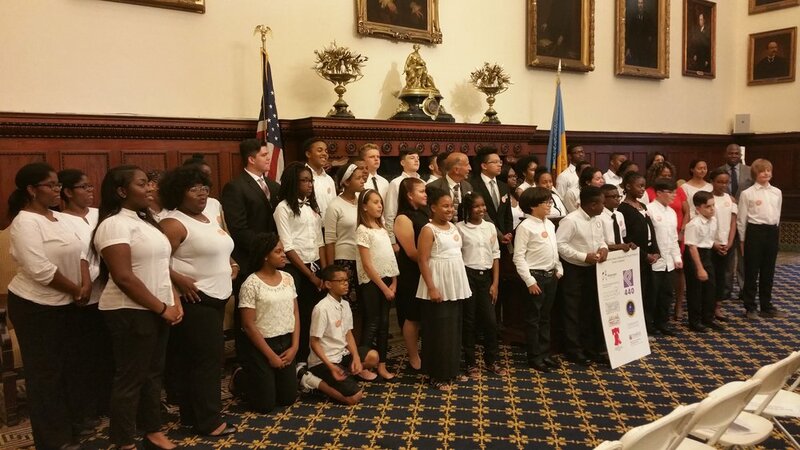 “Philadelphia is so lucky to have an organization such as the Philadelphia Music Alliance for Youth, whose sole purpose is to identify ways to enhance the musical education and performance opportunities for Philadelphia’s children,” said Chief Cultural Officer Kelly Lee. “Collaboration is key and PMAY’s Initiative is a successful model,” adds Lee. In order to create pathways for success, the Artists named today will receive financial support to make lessons, music classes, youth orchestra participation, and summer music camps affordable. They will be able to attend free college and career preparation workshops, and PMAY teachers and staff will work with each family to make sure each musician has an instrument and a strong plan in place for becoming the best musician he or she can be. 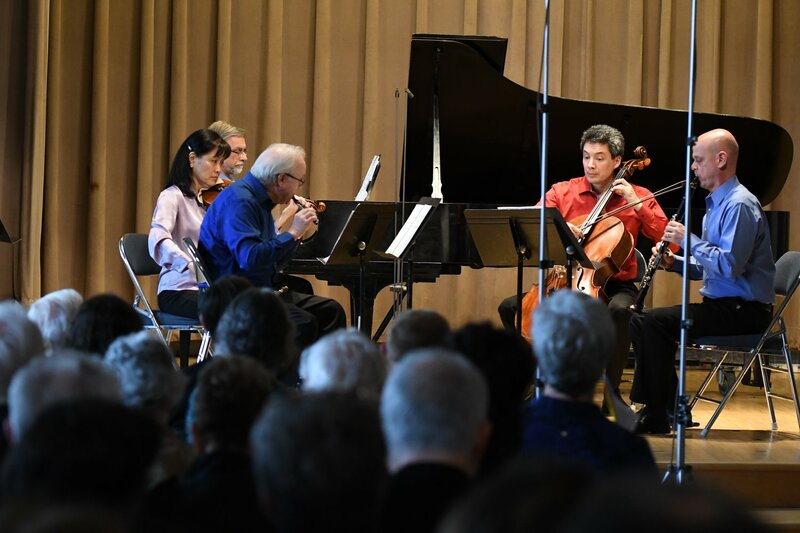 The PMAY Artists’ Initiative is meant to address a major issue in American classical music. 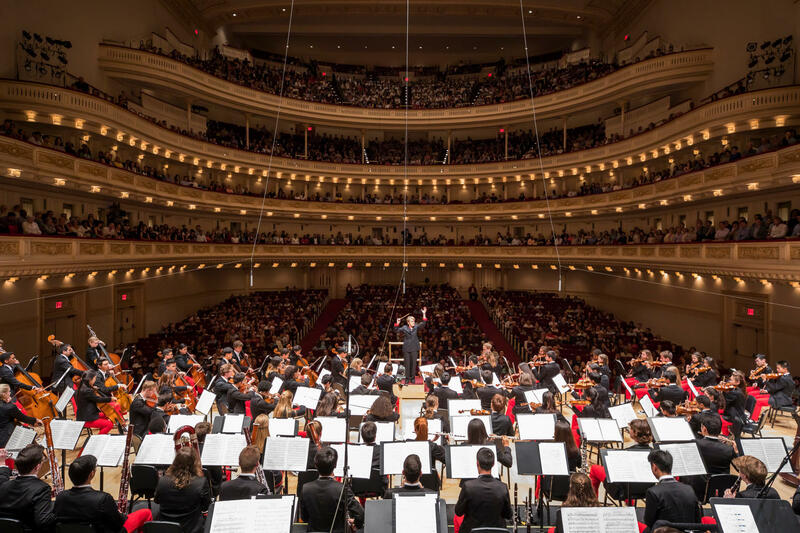 Fewer than 5% of musicians in professional American orchestras are African American or Latino, and the numbers of South Asians, Pacific Islanders, American Indians, and Alaskan Natives are similarly low. Yet the cities that support these orchestras—like Philadelphia—are racially and ethnically diverse places. The PMAY Artists’ Initiative has selected this group of 75 young musicians, the first class of PMAY Artists, who will eventually change the face of classical music. The PMAY Artists’ Initiative is funded by a generous $2.532 million grant from the Andrew W. Mellon Foundation, with Settlement Music School as the lead partner in concert with 9 additional PMAY partners: Musicopia, Philadelphia Sinfonia, Philadelphia Youth Orchestra, Play On, Philly!, Project 440, School District of Philadelphia Office of Music Education, Temple University Music Preparatory Division, The Philadelphia Orchestra, and the Primavera Fund. This multi-year grant will identify and support the region’s most committed young musicians, like those named today, to ensure they are college ready and that they have the skills necessary to excel in conservatory, college, or university as music majors. The investment builds upon Philadelphia’s robust music education ecosystem, enhancing opportunities for collaboration to ensure that promising students can access the teaching and learning opportunities necessary to remove barriers to achieving the highest level of mastery. For more information on the PMAY Artists’ Initiative, visit settlementmusic.org/pmayartists. 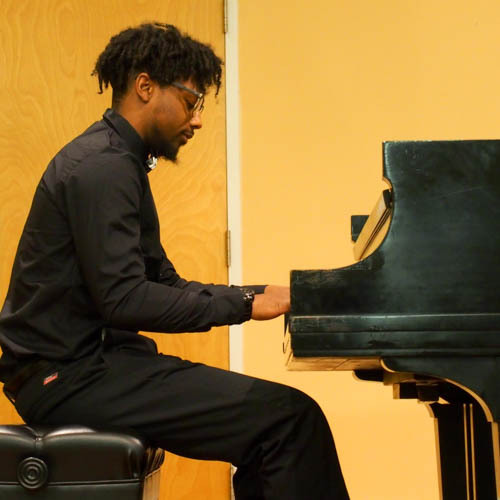 The Philadelphia Music Alliance for Youth is a collaborative of organizations in the Philadelphia region dedicated to providing music education and performance opportunities to youth. The collaborative started in 2012, and its members share a commitment to improving communities through the regular study of music. For three consecutive years, PMAY hosted the annual Philadelphia Festival of Young Musicians, an all-day educational exchange for students culminating in a combined orchestra and chorus performance for parents and the community at large. As PMAY enters its next phase, its member organizations have formed topic-based working groups that are developing areas of focus and initiatives to expand the impact of its work and that of its member organizations. The Andrew W. Mellon Foundation endeavors to strengthen, promote, and, where necessary, defend the contributions of the humanities and the arts to human flourishing and to the well-being of diverse and democratic societies. To this end, it supports exemplary institutions of higher education and culture as they renew and provide access to an invaluable heritage of ambitious, path-breaking work.